As the android made available to the market, reputation of the other mobiles goes down. It is because the android provides the coolest application support and through that applications mobile becomes the more smarter to perform any task in fractions of seconds on the move. Many of us hates the android phone due to the only one reason and that is the Battery Problem. Yes Battery Problem, because if you are using the smart applications than it must consumes the more power and also we required the 24*7 internet working to use top coolest application link chat messenger, calling app, email app. blah..blah.. All that internet related application consumes more power and our battery gets dead in few hours. To get rid of the battery life problem you have to follow the some tips. Just go through the bellow mentioned tips and it will help you to save your android mobile battery life or it extends your mobile battery life. 0-45 degree temperature is suitable for the battery charging. Much high or low temperature harm your device. Always keep your mobile in cool/normal temp and keep your mobile out of direct sunlight. It is recommended to remove your device cover when you are charging the mobile because it will produces the more heat which is dangerous for battery life. Charge your mobile battery while its get bellow 15%. Charge it from 15% to 100% without pause. Please do not charge if your battery is more than 15% to 20%. Charge only when it required to charge. Perform full cycle from low to full without pause. Because interference by pause may reduce the battery life. If you do not need the internet connectivity then please turn the packet data off. If you can perform work with 2G data than please do not use 3G or 4G data because it consumes more battery power than 2G. Everybody gets crazy when free internet is available. Use it when you get but remember that when you don’t require WiFi connection on your device then please turn your WiFi off because WiFi connection consumes much more battery power than 2G or 3G. Auto synchronization is used for the Email or chat services like Google email, contacts, messenger etc and it will synchronize the data from the server of the application and gives you the notification on each update. Please turn Auto sync Off from the settings of your android device when you don’t required. 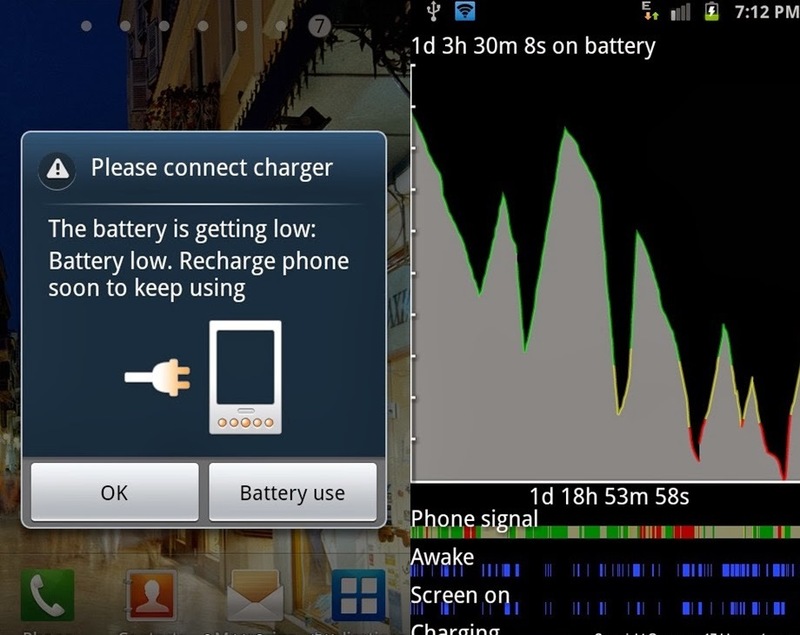 Longer Screen timeout may consumes some amount of battery and if it is unnecessary, its recommended to use it as 1 minute or shorter. Bluetooth consume a lots of battery power as the WiFi does. So its required to turn off the Bluetooth and use only when you need it. Many of android users not considering the background running applications. Users just installs the lots of android applications on mobile, use it on the fly and not quitting it properly so the application still remains running in the background and consumes the much more battery power. Its recommended to turn of the running Applications which you do not need. For disabling it go through Settings > Applications > Running Services. Use low screen brightness. Screen brightness consumes the much battery power. Use high screen brightness only when you required in daylight. Adjust it from the Settings > Display > Brightness. Vibration feature consume the more battery power. Use only it in the extreme conditions such as class, meetings etc. Other than that keep your device in general mode or with minimum or no vibration intensity. Auto Update consumes the more battery. We don’t required the systems updates feature everyday. Please turn it off so it will not go for checking the update every time when it connects to the internet. From above mentioned points now you feels that we are limiting you to use android mobile applications but its the important factors you need to consider if you want your android device with longer battery life and by using device as mentioned above you will surely found significant change in your battery life. Keep using android and stay tuned to us to get more. Share it to other android users and state your comment bellow. Its good when you get the natural link building to your site with higher number of links to your site. Its even much more better when you get the links from the relevant site(Niche related) and it’ll stand your blog higher in search engine results pages. But what if your site getting the backlinks from the irrelevant site which is far distinct from your content or you are getting the traffic from the bad and dirty adult or gambling site? then your site might get affected by the Negative SEO and not performing well in the Google search result. 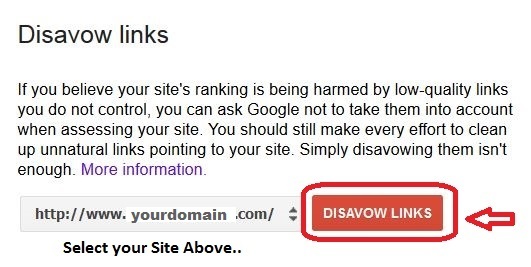 So to get your site back in the better position in search engine you need to use the Google Disavow tool. This Google Disavow tool allows to submit the bad links and tells the Google that don’t consider this sites when serving the search engine results. So Google Automatically neglect such dirty domain and URLs from the search engine and refresh your ranking results. This tool removes all the backlinks made by the bad guy to your site. So this is the best tool to remove the low quality or spammy links from the Website. By submitting the text file with links (bad links) to Google you can ask Google not to take this link into account when Accessing your website. You can Submit request if one of the following reason meets to your Site. Traffic from too many Dirty (adult) backlinks to your Site. I faced the Bad directory submission issue with my site. I recently checked my traffic source and got lot of dirty sites links and i was shocked because i never did such type of link building and even i am getting the traffic from dirty site. So i then realized that it might be the reason of web directory submission done by me few months back. If you feels like the same than you could use the Google Disavow tool to request the Google for blocking such spammy links. So you can use this tool to remove the webspam even if you don’t have the unnatural links message in your Webmaster Manual action console and helps the google to crawl the better contents. Now i think you have better idea on when to use the Google Disavow tool. Now its time to know how to Use this Google feature to request reconsider your site in terms of rankings. 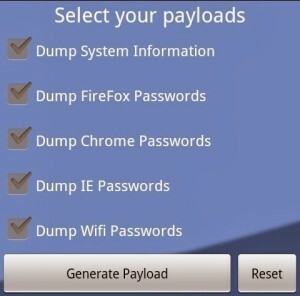 Follow the easy steps by step guide below. How to Collect the Bad Links – To collect the spammy backlinks to your site. Go to the Google Webmasters Tools > Search Traffic > Links to your Site> Who links the Most > More>> ‘Download More sample links’ and ‘Download latest links’ as shown in the Image below. – After collecting the links check the links list and verify it. – Contact the Domain owner through their website contact page or email to remove the links of your site. – Wait for few days for mail response. Making Disavow Text File it easier. Mention the Entire URL of the Site to which you want to Disavow or if you feels like number of bad links from the same site then just Disavow the entire domain. Here the # indicates the comment you can add to remember the changes you made to the file. Add the URL or the entire the Domain to Disavow. Save the text File and Go to the Google Disavow Tool. Now you are prompted with the caution message as shown in the Image below that you should use this tool with care and inappropriate mentions of links may harm or create the potential issue to your site performance. But its ok to continue as we have number of Spammy and low quality links. Click on choose file we have created and Submit it to Google. Now if you are succeed in submission of the Lists then it’ll show the success message as in the below screen. Disavow tool provides nice feature to remove toxic backlinks from the site and helps your site to position better in the search engine result pages by protecting site against the Negative SEO. 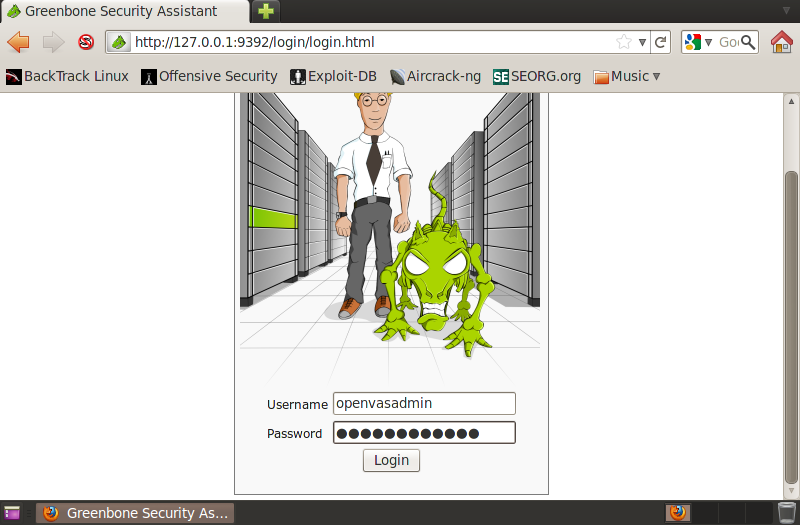 Keep using the tool nicely and make your website safe and secure ! Share your Disavow tool experience and spread your knowledge. Weebly is the easy website or blog building platform. It’s totally newbie friendly. No coding required. Anybody can easily drag and drop and make the site in few minutes. It is also having the high ranking in the Google and #1 to provide free website building support. It is the one of the most lovable site compared to other web creation sites. After building if you want to track the performance through webmasters tools then you can! If you do not know how to verify the weebly site or failed to verify with the HTML file upload option then here is the Alternative. Go to the Google Webmasters Tools, Add the site which you want to verify excluding www. i.e. “yoursite.com” or “yoursite.weebly.com”. On the next page it will ask Verify your ownership of website. HTML file upload is the option but sometimes it doesn’t works ! I suggest you to move to the Alternative Methods as shown in image below. Click on the radio button “HTML Tag”. It’ll shows the code as shown in the picture. Copy that code and move to your weebly site and inside the Settings> SEO there is the “Header code” option available. Paste the copied code inside the header code as mentioned below. Save the Site and Publish it ! Now move to the Webmasters tools and click on verify button. Hope you are succeeded in verification. Thanks and comment below if it worked for you.